Who suffers most? People with legitimate injuries, home damage or significant handicaps. Every time lawyers find a handhold in consumer-protection laws, a few firms rush to exploit it for their own gain — practically daring the state Legislature to raise the bar for all cases. It’s a challenge insurance companies and businesses urge lawmakers to take up, and too often, the response is overkill. New laws strip consumers of protections that make it easier for them to challenge their own insurance companies when claims are wrongfully denied. As reported by The News-Journal’s Frank Fernandez, another growing problem has finally reached Volusia and Flagler counties. A single law firm has more than doubled the caseload in Volusia County’s small-claims court, filing thousands of lawsuits in 2017 under the state’s Personal Injury Protection law, many of them based on cases that originated in other parts of the state. 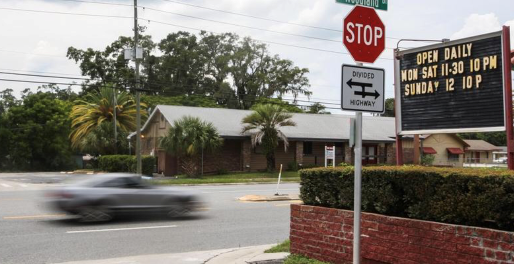 That law — known as PIP — is meant to speedily resolve cases and pay benefits to Floridians who suffer relatively minor injuries in vehicular collisions. These people are the most vulnerable against big, well-funded insurance companies; often, policy holders can’t afford to litigate over a denied claim that at most, is worth $10,000. Now, as Fernandez reports, there’s a new wrinkle. People with legitimate (or in some cases, questionable) claims are heavily solicited by clinics and other medical providers, who convince them to sign agreements known as “Assignment of Benefits” or AOB. These providers tell their patients that if they sign an AOB, the clinic will “take care of the paperwork.” It’s a tempting offer for a fast-food worker with little knowledge of the court system. But opponents say it’s spawned a cottage industry of questionable clinics that claim the same course of treatment for almost all their patients — regardless of actual injuries. Every time, there’s one clear and obvious winner. “Everyone pays more in insurance premiums to make a handful of lawyers and vendors very, very rich,” the Florida Justice Reform Institute says, in a report issued last year. Does that apply to Simoes and Davila, the law firm handling the vast bulk of cases in Volusia and Flagler counties? As Fernandez reported in one notable case, attorney Kimberly Simoes claimed less than $790 for her clients — and nearly $40,000 in legal fees for herself.